Anushka Sharma, the actress who is known for her versatility and acting skills. For the past few years, she has entertained us with some of her commendable performances. Right starting with the simple and dignified Taani from Rab Ne Bana Di Jodi to a girl Sejal who wants to explore her inner strength from Jab Harry Met Sejal. After the success of Band Baaja Baaraat, this lady proved everyone that she is the powerhouse and the most promising actress in Bollywood. The audiences just love the way she portrays her characters on silver screen. Taking this note forward we present to you some of her notable roles till now. In this movie, a great team spirit was shown between Shruti and Bittoo who planned dazzling weddings till their friendship took a new turn. The character of Shruti taught us to be determined for our dreams and goals. When she realized that Bittoo has no serious concern for their brief romance she moved out of business and moved on for her dreams. She becomes more determined to expand her business overseas. 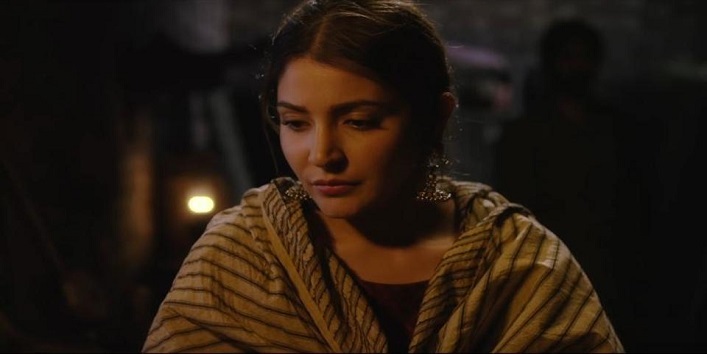 In this movie, Anushka Sharma has played the role of a bold and an uncompromising woman. Farah ran away from her home in order to pursue her career in dance. When she went on a cruise, she met a guy Kabir who was thrilled by her determination and passion for dance. Later, the two fell in love but Farah resisted to compromise with her self-respect and dignity when she faced Kabir’s parents. Meera the character who fought against her fears. In this movie, the character Meera and her husband went out and become the witness of an honour killing case. After that, she was beaten, threatened, and followed. But story changes track when Meera turns her fear into a weapon and fights against the thugs. She emerged as a brave person who refused to be hunted down like an animal who is vulnerable. In this movie, Aarfa was an accomplished wrestler and bought out the hidden wrestler in Sultan. After getting married they travelled the world together for the championship. But later Aarfa bid a goodbye to her wre4stling dreams and chose motherhood. This was not an easy decision, but this can only happen if you have great courage and love. Aarfa devoted all her time in making Sultan the world’s best wrestler even after their bitter separation. The background of the character Shashi is set on the plot of pre-independence. At that, no value was given to the ambitious and dreams of a woman. But Shahi was brave enough to write poems for the Gazette under the pen name of Phillauri. And she also made Roop Lal the finest singer.